Our family started our Thanksgiving off with the loss of another fish. Nemo or Ceelo (not really sure which one) went home to the big fish bowl in the sky. Apparently, it is not enough just to feed the fish but you have to check the pump and make sure it is not clogged (deep sigh). I must take full responsibility for that one, oops! Unfortunately, this is not our first fish tale. We lost Freddy the Fish about two years ago. Here is his untimely story. It all began with a class lesson in the letter “F”. My middle daughter was in 3K. Her teacher sent each kid home with a fish named (you guessed it), Freddie: The Fish. I thought it was a clever idea. The week before, my parents had purchased two goldfish, Nemo and Ceelo (not to be confused with the singer Cee-Lo Green). It seemed like a good idea at the time. So Nemo, Ceelo and Freddie: The Fish were all living in one big happy fish tank. Freddie: The Fish, the smallest of the three, could not eat the same pellet fish food as the others, so we fed him the flaky fish food. We watched Freddie’s food intake until one day, when I noticed that Freddie was looking, well, not so fishy. He was moving rather slow and he looked quite seasick! I know, he’s a fish, and they live in water, but Freddie looked really, really sick! The next day, we got up as usual and got the kids ready for school. That morning, while saying our prayers, our oldest (who was 5 at the time) thanked the Lord for Freddie. Well, sometime later that day, Freddie went belly up- literally. Thank God the kids didn’t notice. I believe that was the Lord’s grace for all of us. My husband took the kids to school and I had to fish- I mean scoop- poor Ol’ Freddie out of the tank. I put him in a Starbucks paper cup as we tried to figure out what to do. My Post: Whelp, “Freddie the Fish” is belly up, literally. After prayer with the kids today, Jacobee and I discovered the lifeless body. Smh. Goldfish. Now I am preparing myself to get this thing out of the tank and talk to the kids. Smh. Now I know what Cliff Huxtuable felt like when Rudy’s gold fish died on the Cosby Show (sigh). Comment: Whattt??? I just met him yesterday. He didn’t look sick… When is the funeral? Comment: Weeelll u could do what we did…take fish back and exchange it for one that looks like it. If the kids dont know its dead it wont matter…. Comment: we had a beta fish to die about two years ago and for a while if you even mentioned the fish name, Spencer would cry. I made the mistake of getting rid of the fish while they were gone for the weekend. Grief and mourning for like a year. A funeral would be ummm….cute. lol! As you can see the responses were pretty funny! My husband and I seriously thought about replacing Freddie before the girls got home from school. Then we thought that would be lying, the very thing we tell them not to do. So, here we are 2 years later dealing with another fish drama. Instead of replacing the fish, I have decided to look for a pet with a longer life span. Any suggestions? To dance is to live. I discovered this at a young age. When I am alone, I dance to release, to recover, to suffer, to survive, to tap into my passions, to feel and to heal. When I dance with others, I release in a different way – tapping into fun times, exercising or teaching choreography. Whichever way it’s done, dancing helps to keep my body and soul alive. My body thanks me when I dance because it rejoices in the movement and celebrates the actual ability to move. I can feel awful, but when I teach a zumba class, do a warm up with a bunch of middle school kids or have a private moment to dance for release, I always feel better. But inevitably, my body will smile from the inside out. When I was a kid, I took my jam box into my front yard at night, blasted my music and danced my heart out. I would go into my own little artistic world. It was my time. My creative time to experience, survive and dive into emotion and passion or visit pretend worlds. My little front yard was my grand stage. I had the misconception that because it was nighttime, no one could see me. Around the same time, I used to walk around my back yard singing at the top of my lungs with the notion that because my back yard was fenced in, no one could hear me. 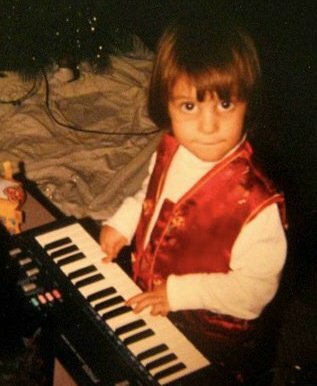 One day, my mother crushed that belief when she stuck her head out of the door and asked me to keep it down because she was trying to teach a piano lesson and my singing was distracting her. As I looked up at the wide smile on my neighbor’s face, the harsh reality that others could indeed hear me outside of the weak chain length fence, hit me like a mac truck! Apparently, I had been putting on quite a show for my neighbors! Recently, I have been a long-term substitute for the dance teacher at White Knoll Middle School. I have had the privilege of dancing on a daily basis and I absolutely love it! Not only have I been able to share my own enthusiasm for dance with these fabulous kids, but they have introduced me to new music and dance moves. I love watching them get into the groove and have such fun dancing. It’s such a treat! And to work so hard teaching them new choreography and then see a dance piece come to life – it’s great to witness! There’s a quote that says, “Those who dance are thought mad by those who hear not the music.” There will always be people who won’t hear the music, but the best thing you can do is to let yourself live and dance like nobody’s watchin’! Below are some of my other favorite quotes about dance. Enjoy! Man must speak, then sing, then dance. The speaking is the brain, the thinking man. The singing is the emotion. The dancing is the Dionysian ecstasy which carries away all. The next time you look into the mirror, just look at the way the ears rest next to the head; look at the way the hairline grows; think of all the little bones in your wrist. It is a miracle. And the dance is a celebration of that miracle. with the general harmony and movement of nature. I may have been a bit of a brat when I was a kid. I mean, I didn’t get everything I wanted. I distinctly remember being jealous quite often of my neighbor’s abundance of toys (namely a GI Joe Jeep and rollerblades) but I certainly marched to the beat of my own drum and did what I wanted, despite not always having what I wanted. I distinctly remember being woken up one morning by dad, who was cooking a huge breakfast in the kitchen. This didn’t happen very often, so this was a rare delicious treat. I made my way to the kitchen to see bacon and pancakes on a plate just waiting for me to wipe the sleep from my eyes and eat them. Naturally, I asked my father for some syrup. And of course, since breakfasts of the non-cereal and toaster pastry ilk were exceedingly rare in our household, we had none. He drenched my pancakes in Karo syrup and sent me on my way to eat by myself in the living room. I threw such a tantrum! Of course, the syrup tasted almost the same as the fake maple syrup. However, I could not have behaved more like a brat in that moment. Instances like that are probably why big meals were so rare in my childhood home. Would you believe that I now insist on having all my pancakes and waffles condiment-free? 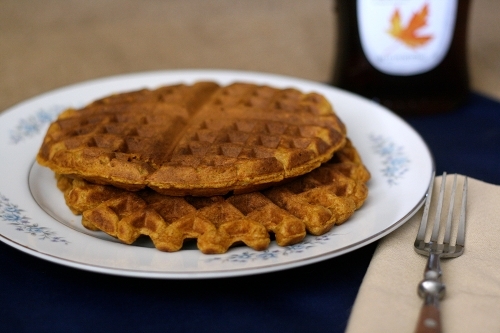 I especially like my waffles when they are flavored with pumpkin and cinnamon and all things tasty. Why would I want syrupy sweetness to overwhelm what is already so delicious? Note: Alton Brown suggests for a crispier waffle, replace 1/4 cup of the flour with 1/4 cup cornstarch. I agree – it makes for a nice exterior! Gently fold the went mixture in with the flour mixture. As you will see from my late night ramblings about Christmas being shoved down our throats before Halloween, I tend to unearth some interesting articles. I have found yet another interesting article to share with you – “Are Charlie Brown and the Peanuts Gang too mean for today’s kids?” Seriously? The article goes on to talk about the “stupid,” “dumb,” “blockhead,” monikers bestowed on some of the characters, mostly Charlie, and how that may be setting a bad example for the children of today. First of all, let’s face the facts here: it is a CARTOON people. Getting worked up over a time-honored classic basically says that we are out of focus in today’s society. Instead of using the television as a teacher or a babysitter, we could use it as a jumping off point. Why not use those words in that cartoon to teach a lesson about how hurtful those words can be? Also, think about what Charlie Brown does in his cartoons. He gets a little down, a little crestfallen, but he ultimately perseveres. He doesn’t let those words make him lash out in anger or pull an oozie on someone. He is who he is, and he doesn’t let the ridicule slow him down or define him. So how did I handle that? Did I banish my children from watching it? Umm, NO. What did I do? Yep, you guessed it. This mom took those three words and used them as a chance to have talks with my boys about how mean and disrespectful it is to say that to someone, especially to a parent. Honestly, I have more heart palpitations over the fact that Max and Ruby appear to have no parents yet appear to live alone, ride on the bus alone, and go shopping alone. Anyone else think about the absurdities of Dora and Diego? Diego is eight, yet, he drives? What about Spongebob and Patrick and all of the real weirdness that resides in Bikini Bottom? The article also goes on to say that there is nothing good in the Charlie Brown cartoons for today’s children. Again, seriously? First of all, as a believer in Christ, I LOVE the fact that my children can still watch a cartoon that was aired on television that references what the true meaning of Christmas is and delivers quotations from the Bible. I still get goosebumps every time I hear the innocent, sweet voice of Linus deliver his monologue of the Birth of Christ. Secondly, Charlie picks out what we all deem to be the ugliest tree on the lot. However, after all of the children come together to work on it, it turns into a beautiful tree and Charlie, himself, is wished a “Merry Christmas” by all of the other children who typically torment him. How does that fit in to your head about giving people a chance and changing attitudes and perceptions? Thanks, I think I’ll keep letting the boys watch, and learn, from good ole Charlie Brown. I’ve never been what you would call a coffee fanatic. I have tons of friends who claim they can’t even speak to anyone before a cup. Others post little coffee-craving cartoons on Facebook to further educate those around them not to approach them before that first cup. Some just plain love the stuff all day long. 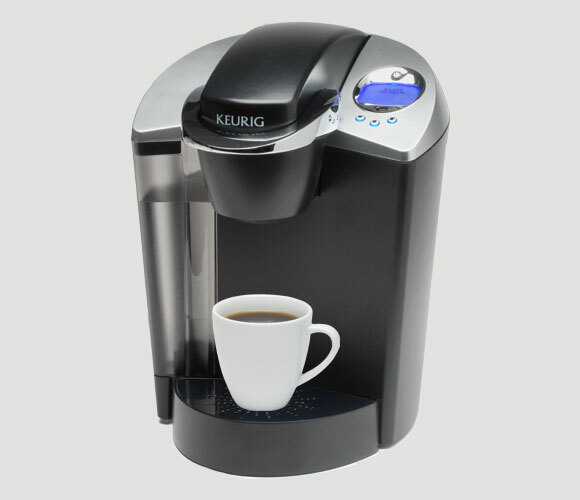 In college, I, like many other students, would drag my little coffee maker to various late night study sessions, sometimes consuming two or more pots in a night. I think some of it was just college bravado (”Yeah, we stayed up ALL NIGHT studying for that exam- lots and lots of coffee”). Of course, the true end result was doing as well on the exam as I would have anyway and a belly full of acid in the morning! 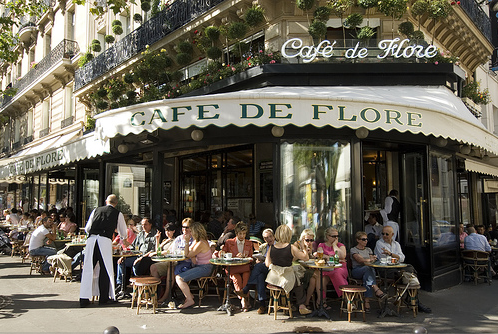 However, I had an epiphany my junior year when I spent a semester in France…home of the coffee drinker. I’m not exactly sure what is different about coffee in France, but it’s definitely different. You know how awful it is to take a cup of cold coffee and try to revive it by reheating it? It doesn’t work. But guess what? It works in France. My “French family” made a giant pot of coffee every night before bed. In the morning, each person would measure out a cup, place it in a pot on the gas range and heat it up. And it was good. Really good. What was in that coffee that would allow this to work? Must be some ancient French secret! After returning to America, my love of coffee waned again because I simply couldn’t find anything here that was good enough. So, I went years without even bothering with it. Diet Coke was my morning caffeine fix for ages. Now, don’t get me wrong, every now and then I’d stumble upon a good cup of java. For instance, can you resist a basket of bread and butter with a bottomless cup of coffee at the Gourmet Shop? And, no matter what anyone thinks, Starbucks makes good coffee. Each winter, the lovely aroma of coffee would beckon, and I although I liked the idea of coffee, I just couldn’t find the right stuff. What a remarkable invention! Rather than making a whole pot of coffee at home and wasting half of it, we can make one cup at a time! There’s no waiting around for a pot to brew, no one standing there with their empty cup just staring at the machine, waiting, waiting. And, there’s tea, hot chocolate, hot apple cider and a bazillion types of coffee to choose from. This thing had my name written all over it. Of course, I couldn’t buy one for myself. So, I bought one, wrapped it up in Christmas paper and presented it to my husband. Crafty like a fox, I am! 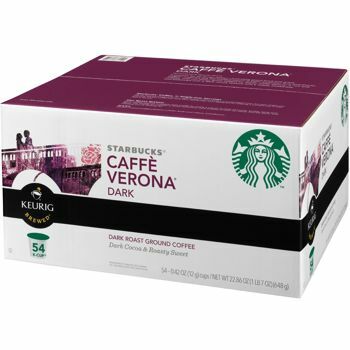 And, here’s the kicker…I found not one, but several coffees that are worthy! French roasts galore, full test, decaf, half caf, flavored, bold, mild. Finally, I could join the coffee nation and actually enjoy it again. But, what about my husband Neil? He kept turning his nose up at the coffee. Oh, he’d enjoy a cup of Earl Grey or English Breakfast tea, but no coffee measured up for him. So, while I was having my $0.41 cup of coffee, he was heading down to Starbuck for his $3.00 “red-eye.” Hmmmm…what was I to do? Thanksgiving is just around the corner and sadly, I think most of us are focused on Black Friday deals and the materialistic side of the holiday season. Thanksgiving is a time to gather with family and friends, taking time out from our busy lives to show our gratitude and reflect on all that we have been blessed with. Recently, I took a few minutes and jotted down ten things that I am thankful for. It only took a few minutes and when I read what I wrote down, I had a different perspective. My list is below and I think you will find a few that might be on your list, too. Be thankful you woke up to see a new day. Not everyone gets this opportunity. Be thankful for family and friends who love you. My family and friends have been there with me through thick and thin. Without a doubt, I wouldn’t be where I am today without their support. When your husband/wife/boyfriend/girlfriend is in a bad mood or giving you a hard time, be thankful for having love in your life. There are many people who will spend this holiday season alone. Be thankful for the ability to pay your bills and have a roof over your head. People will spend this holiday season sleeping in homeless shelters, not knowing where they will stay next. Parents who raised us, changed our diapers, and put up with us as we found our way through our teenage years. If they are no longer with you, take a moment to be thankful for the time you had with them. When you’re stuck in traffic, be thankful you have a car to get where you need to go and money to buy gas. When I think about this one, it reminds me of how I used to have take the bus. There is nothing like standing out in the rain, watching others drive by in the comfort of their car. Be thankful that you have children to love and who love you, and remember that at least some of the time, they do get along. If you do not have children, be thankful for the children in your life and the positive role model you can be for them. The ability to see the beautiful world around us. If you get a free day, drive up to the Asheville/Greenville area and you will see the most wonderful colors of the season! Be thankful that you can read these words. So many are unable to read and we take literacy for granted. Be thankful we live in a country where we have opportunities and the freedom to make choices. It could be far worse and I feel that better days lie ahead. When you sit down with your loved ones for your Thanksgiving dinner, be thankful for everyone and everything that has made it possible. Cherish the time spent together and soak up all the day has to offer. What are you thankful for? Please post it here in the comment section so that we can grow our list of things to be thankful for together. 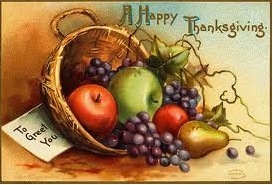 Wishing everyone a blessed Thanksgiving holiday filled with many wonderful memories! It started innocently enough at the gym this morning. Jenny and I were chatting on the elliptical, and she was talking about her latest run. “If there is one thing I don’t feel motivated to do, it’s running,” I said. Then Lila Anna chimed in that St. Lawrence Place had a 5K in February, and that a lot of people walk it. Before I was off the elliptical, I had committed to walk her 5K. But sometime between hopping off the elliptical and finishing my strength training, I decided that I wanted to run that 5K. Huh? How did that happen? I love my friends who run. Two of them, Wayne and Vicki, have even inspired me as I’ve watched them move from walkers to runners. However, I also find some runners annoying. To them, everything is about running; it consumes them. They run injured. They run in extreme temperatures. It’s all they talk about. This is not who I want to be. I need a non-weight related goal to work toward. I’m getting a little obsessed with the scales, and that’s not good. Working toward a 5K would help me focus more on fitness and overall health vs. watching the scales. I want to see if I can do it. You know, the “you must do the thing you think you can’t” thing. I am really competitive, and sometimes when I see someone on Facebook or Twitter who has run a race, I always think, “They’re a runner? They don’t look like a runner. If they can run a race, I could certainly do it.” Sad, but true. I texted Traci, who said that I could definitely be ready by February, especially with my trainer’s help. I downloaded a “Couch to 5K” app called 5K Runner. It coaches you to prepare for a 5K in eight weeks through a three-day-a-week regimen. I’m also going to email Daniel, my trainer, to see how he can help me prepare between now and February. And I told someone. I told Lila Anna, and I’m also telling you via the blog.